Not a fan of mooncakes? 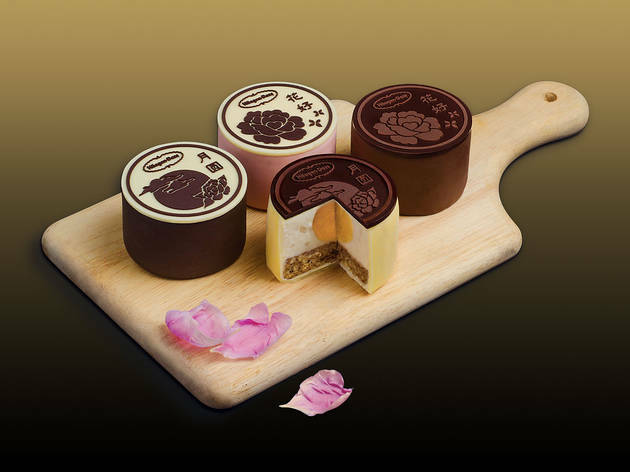 Indulge in ice cream cakes intricately designed to look like mooncakes. 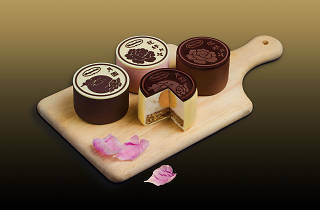 Häagen-Dazs has introduced four ice cream combinations for the Mid-Autumn Festival: macadamia nut, strawberry, chocolate, and cookies and cream, all of which are paired with a scoop of mango sorbet in the middle to represent a golden yolk. When dining in, order one of the cakes on a platter with fresh fruit, chocolate leaves and strawberry sauce.